We all brace ourselves for several months of snow and bitter cold once fall is over in Minnesota. We’re mentally tough enough to handle the elements, but we still need to make adjustments to protect our skin. 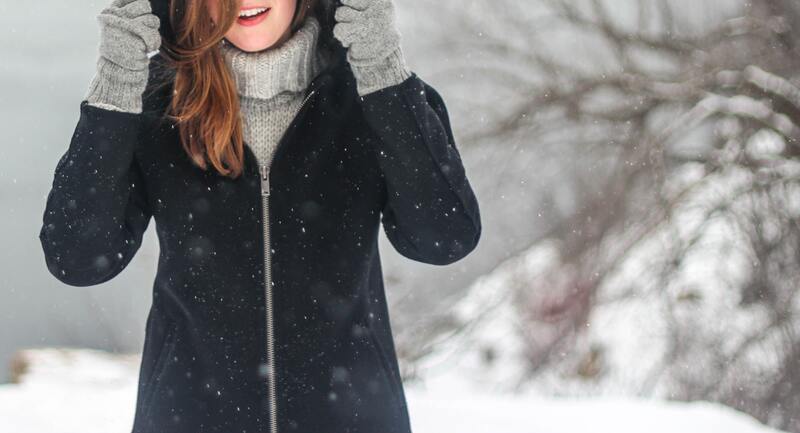 Here are a few helpful tips for maintaining healthy skin all winter long. This seems obvious, but there are times we don’t dress appropriately during the winter. It’s tempting to choose fashion over function, but it doesn’t take long for skin to get damaged during the cold months. Always remember to wear a coat, gloves, and even a face mask if necessary. Strong cleansers can become irritants for your skin when the air is extremely dry and cold. Depending on the strength of your current face wash, body wash, and shampoo, it could be very helpful to find a gentler option in the winter. As the temperatures and humidity drop, your skin may become dry. After washing your face, hands, or anything else, be sure to apply a lotion or other moisturizer. Staying hydrated and moisturizing religiously will help keep your skin from getting dry and damaged. Bonus Tip: Choose a moisturizer with SPF 30 or higher. Sunburns still occur in winter, so protecting your skin from harmful UV rays is important, especially if you are doing outdoor activities such as skiing or snowboarding. The dermatology professionals at the Center for Dermatology are pleased to welcome you to our practice. We provide medical, surgical, and cosmetic dermatology services in Lakeville, MN. We know how hectic life can be and are committed to making our practice convenient and accessible. We want you to feel confident that when you choose the Center for Dermatology, you’re working with health care professionals who are qualified, experienced, and caring. We invite you to schedule an appointment for your annual skin check. We look forward to meeting you! Call (952) 469-5033 today to schedule a dermatology appointment in Lakeville, MN!